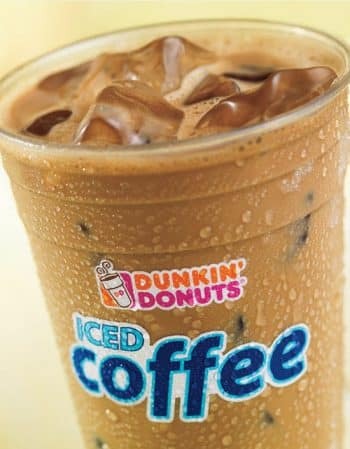 This super easy recipe tastes just like the iced coffee they serve at Dunkin Donuts. The secret to making this taste just like the real thing is adding the same amount of milk as coffee, and make sure the coffee has cooled before adding it all together. Make 2/3 cup of coffee and let it cool. Then put the sugar and the ice cubes into a glass. Pour the coffee over the ice and sugar. Add in the milk and stir. It’s as simple as that. Enjoy!